The Hand Dynamometer can be used to measure grip strength or pinch strength and to perform muscle fatigue studies. Using the appropriate data-collection hardware and software, you can graph, record, calculate, and compare hand grip muscle fatigue rates. This sensor can be used alone or in combination with other sensors (e.g., EKG Sensor) for studies of muscular health and activity. The Hand Dynamometer may require a compatible interface and software. Choose a platform below to see compatible interface and software options. The Hand Dynamometer is fully supported with LabQuest 2 (version 2.8.5), a standalone data logger with built-in graphing and analysis software. The Hand Dynamometer can be used to measure grip strength or pinch strength. Grip strength is assessed holding the sensor in a vertical position with the arm perpendicular to the body and fingers on the pad distal to the longer proximal portion to which the palm is pressed. Strength can be measured by applying pressure for a series of short grasps or over a sustained duration. Pinch strength is assessed by placing the sensor on a flat horizontal surface with the pinch sensor pads in a vertical alignment, extending beyond the table plane. Using your thumb and forefinger, place each on the respective opposing pinch pads and press. The following is a list of activities and experiments that can be performed using this sensor. Determine if grip and pinch strength are a function of age. Compare hand grip strength with pinch strength. Devise and carry out a study to explore if there is a correlation between them. Measure muscle fatigue by exerting maximum grip strength and sustained grasp for as long as possible. Determine if muscle fatiguing time is similar for all participants and if there is variation between age groupings and gender. Predict the results of repeated trials for each member of the group. Measure the effect of squeezing a tennis ball repeatedly on grip strength. Squeeze the ball tightly each evening fifty times for a month. At the beginning of the month, measure and record your basal grip strength; at the end of the month, record your hand grip strength and analyze how these values compare. Determine if there is a correlation between hand size and grip strength. Consider factors such as wrist and forearm circumference in relation to grip strength and which muscle complexes are involved in grip strength and pinch strength. Measure hand grip strength for dominant and non-dominant hands by gripping the dynamometer in a neutral non-supportive posture with the sensor in your non-dominant hand. 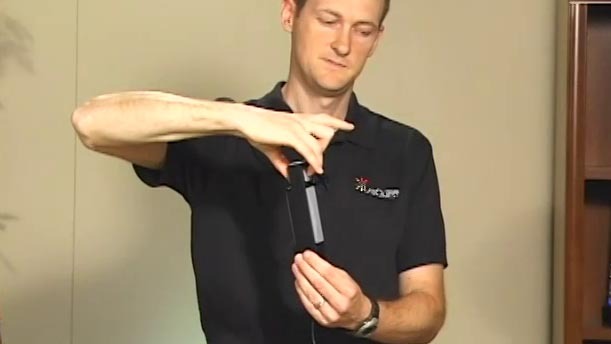 Initiate data collection while holding the sensor with a neutral grip with eyes closed. Explore what accounts for the similarities and differences. 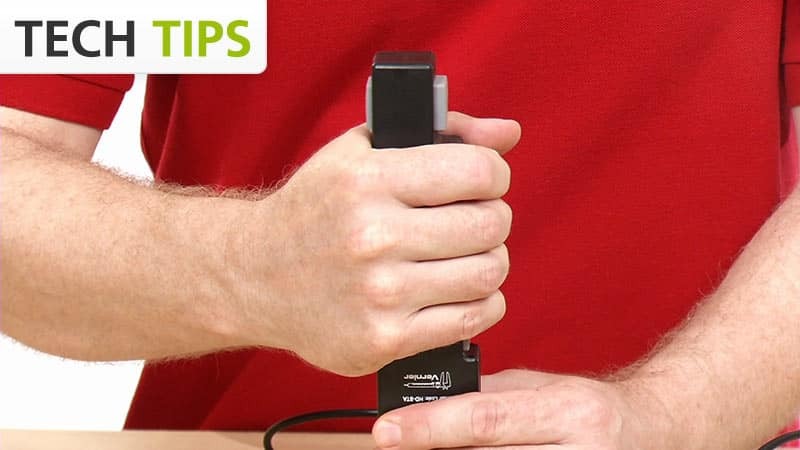 Use a hand dynamometer to compare the grip strength of one hand versus another. 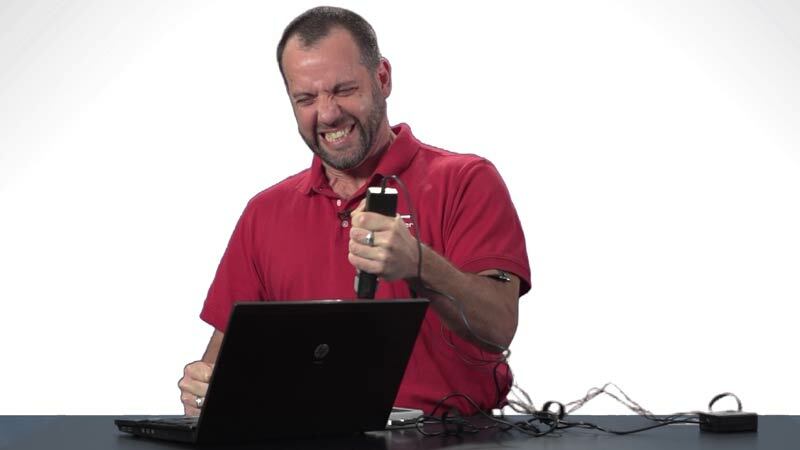 You should not have to perform a new calibration when using the Hand Dynamometer. We have set the sensor to match our stored calibration before shipping it. You can simply use the appropriate calibration value that is stored in the data-collection program. The Hand Dynamometer is a strain-gauge based isometric force sensor. This sensor amplifies the force applied converting it into a voltage that is monitored by the lab interface and read in the desired units of force. The Hand Dynamometer reports values in newtons (N), pounds (lb), or kilograms (kg). If the sensor does not read zero in the orientation in which you are using it, follow the standard zeroing procedure for the data‑collection program you are using. If the default experiment length is too long for your experiment, set the data‑collection parameters in the program you are using. 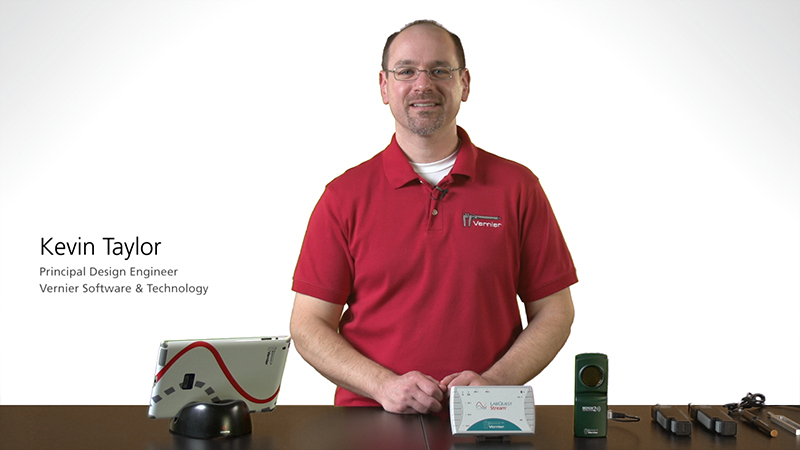 If you have watched the related product video(s), followed the troubleshooting steps, and are still having trouble with your Hand Dynamometer, contact Vernier Technical Support at support@vernier.com or call 888-837-6437. Support specialists will work with you to determine if the unit needs to be sent in for repair. At that time, a Return Merchandise Authorization (RMA) number will be issued and instructions will be communicated on how to return the unit for repair.